This Irish Red Ale has a deep-amber, light-copper appearance from crystal and black malts included in the recipe. The malt focus gives this beer caramel, toffee and toasty notes and a slight dry, roasted-grain finish. The hops provide a moderate level of bitterness. 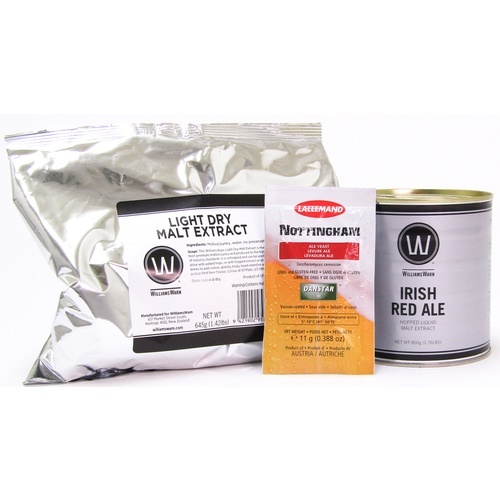 The kit includes an 800g can of Irish Red Ale, 645g bag of Dry Malt extract and an 11.5g pack of Nottingham ale yeast.